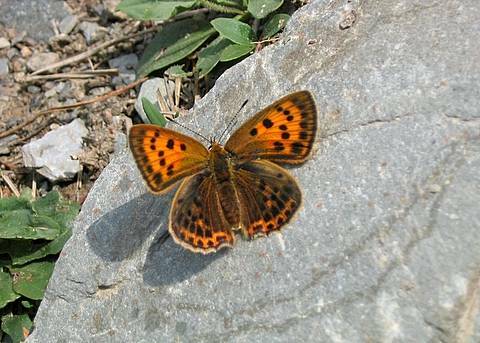 The male Scarce Copper is a strikingly beautiful butterfly with his vivid, solid orange upperside which is very conspicuous in flight and helps to locate him as he's whizzing around! Like other coppers though he stays put a while for a picture. 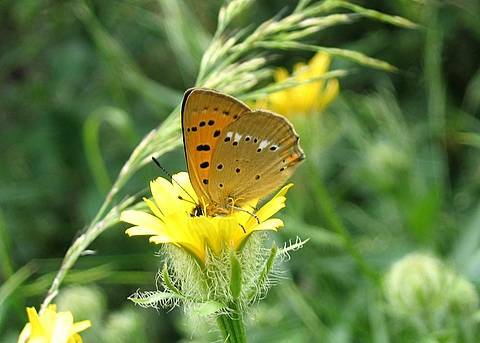 You could confuse the male with Large Copper in theory but you would rarely find the two species in the same altitudinal range. The undersides are very characteristic with the white splodges in the post-discal line. 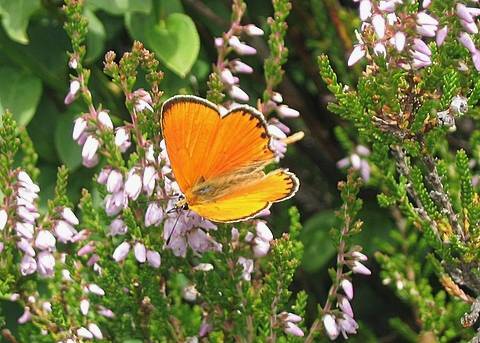 The female upperside is much duller and very spotty. 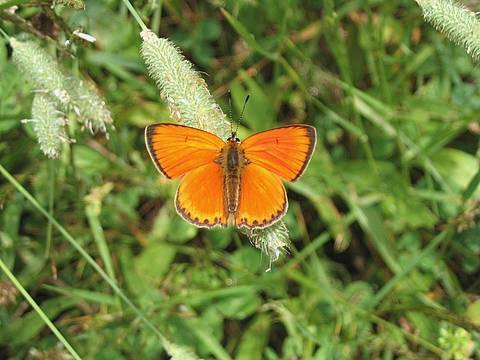 Despite its name, this butterfly seems quite common in upland areas over about 1000m. Females are seen more rarely.